You don’t need hours to make a nutritious breakfast. BREAKFAST IS THE most important meal of the day, we’ve been told over and over (and over) again. It sets you up for the day, kickstarts your metabolism, and gives you energy to keep you going till lunch. But it’s no secret that it can be a tough one to fit in when you’re rushing around trying to get ready for work in the morning – particularly if it’s not just yourself you’re trying to hustle out the door. To help you out, we’ve rounded up six quick and filling breakfasts that will give you a bit of inspiration in the morning, and hopefully encourage you to make time to get something nutritious to eat before heading out for the day. From super easy recipes to ‘needs a little time or preparation’, a filling breakfast doesn’t always have to involve eggs (although we do have some in there, of course). Check out our six ideas and let us know your top breakfast to have in the comments below. It may have got itself a bad rap as the breakfast of hipsters, but avocado toast has a lot going for it. First of all, it’s nearly as quick as making toast and spreading it with butter, and avocado is way more nutritious than butter. 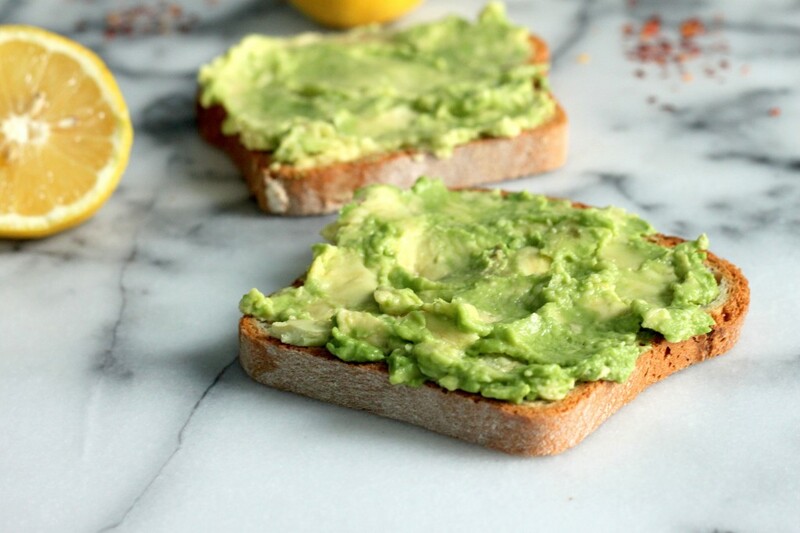 You don’t even need a recipe: toast bread, mash avocado on top of it. Done. And it can be easily upgraded to be even more nutritious if you have a minute – try topping with an poached egg, or some cheese, or a tomato, or whatever veg strikes your fancy. Here’s something you don’t see every day – a muffin (basically a mini-cake) that’s healthy. Packed with protein so it’s suitable as a morning breakfast food, and also something you can grab on the go if you need to, this recipe is easy to make. You can use protein powder or leave it out, it’s up to you, but having a breakfast with protein in it is meant to keep you fuller for longer. Best of all you can make these a day or two in advance and they’ll keep nicely. Perfect to prepare on Sunday if you know you’ve a busy week coming up. Smoothies are a great way to get a lot of nutrition into you quickly and are portable if you’re on the run (to work, not from the Feds). The smoothie world (yes, it’s a thing) has exploded of late, and anything you can think of you can throw in the blender and blitz away, but of course there are more healthy versions. This is a recipe for a peanut butter and ‘jelly’ smoothie – which is totally indulgent-tasting but free of refined sugar and full of protein. Next, you can work your way up to green smoothies, and have your smug level go off the charts. Scrambled eggs are crazy easy to make but if you’re already in work when you get a hankering for them, you can find yourself thwarted by the lack of cooking facilities most offices have. The solution? Microwave your eggs. Most offices have a microwave, although if yours doesn’t, of course, there’s no helping you here. The key to not making rubbery eggs is not to overcook them. They’ll still cook a little after they come out of the microwave. Another oldie but a goodie in the breakfast department is porridge. If you haven’t had it since school, fear not – it’s not as bad as you remember. It’s really easy to make (you can do it in the microwave) and you can put all sorts of stuff into it to make it as tasty as possible. From honey or maple syrup to sweeten, to fruit, ground nuts or protein powder to goji berries, maca powder or whatever you fancy really. There’s no judgements here. It can be as healthy or as decadent as you like. Alright, these are probably a breakfast that you’ll need to spend a bit of time on (although to be fair, they’re pretty easy – just put packaged puff pastry in muffin cases and fill with beaten eggs and cheese), so save them for the weekend, but how could they not be included? Look how fancy they are. And of course you could add various ingredients such as onions, mushroom, bacon – much like an omelette or an actual quiche, to get all sorts of breakfast combinations. Have we inspired you? Have you any breakfast suggestions for us? Let us know in the comments below. Email “6 quick and filling breakfasts to make on school (or work) days”. Feedback on “6 quick and filling breakfasts to make on school (or work) days”.